Sugarfactory is a nightclub and live music venue in the heart of Amsterdam, attracting a young audience in search of diverse entertainment in an intimate yet inspiring setting. A springboard for talent on the cusp of international acclaim, the “Sugar” is renowned for its original live music and club night offerings. It is also home to many other successful events and concepts, many of which are co-produced with a variety of organisations. Sugarfactory is open daily and each day brings its own unique atmosphere and audience. On a yearly basis, it hosts over 600 events and welcomes up to 165,000 guests. 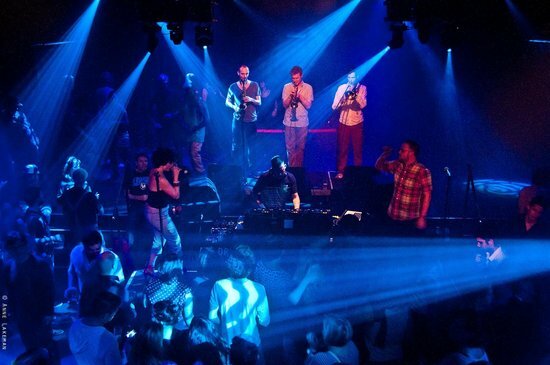 Our venue has a maximum capacity of 750 visitors for club nights and 400 for live music events. Completely independent, non-subsidised and always exciting, it’s one of the city’s hottest destinations.